I read this book in Elementary School and enjoyed it. The stories are relatively simple, but they each have pretty dark endings for a young adult book. Overall, it’s a fun read. 1. 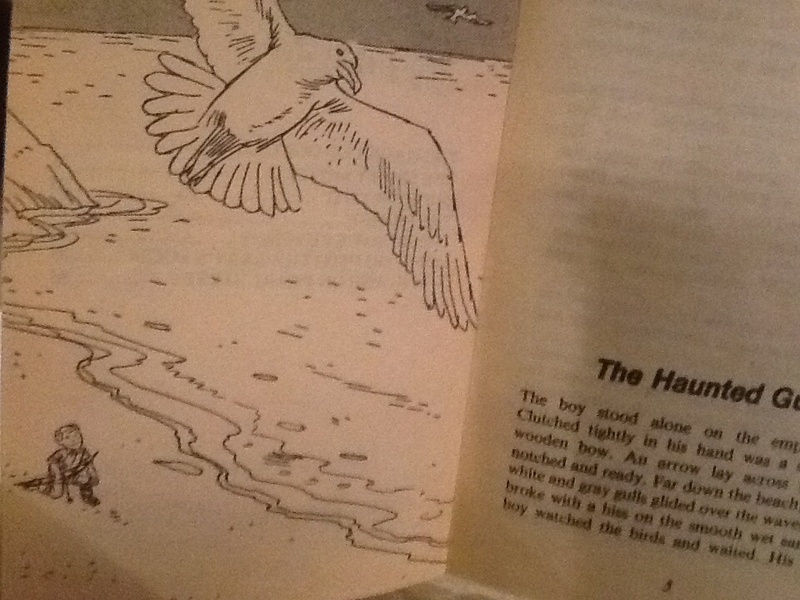 “The Haunted Gull” – A boy playing with his new bow and arrow accidentally kills a sea gull flying overhead, then suffers the consequences from the vindictive birds. 2. “The Empty Motel” – A family stops at a motel while traveling on vacation. It’s dark but their father goes in to try and get a room anyway. When he doesn’t return, his wife and two young daughters go in to look for him. One of the daughters talk about a dream she had about the place where an entity inside told her that they’d all be allowed to leave, but was it telling the truth? 3. “Ghost Flight” – A passenger plane encounters five old fighter jets on their flight through the Bermuda Triangle. 4. 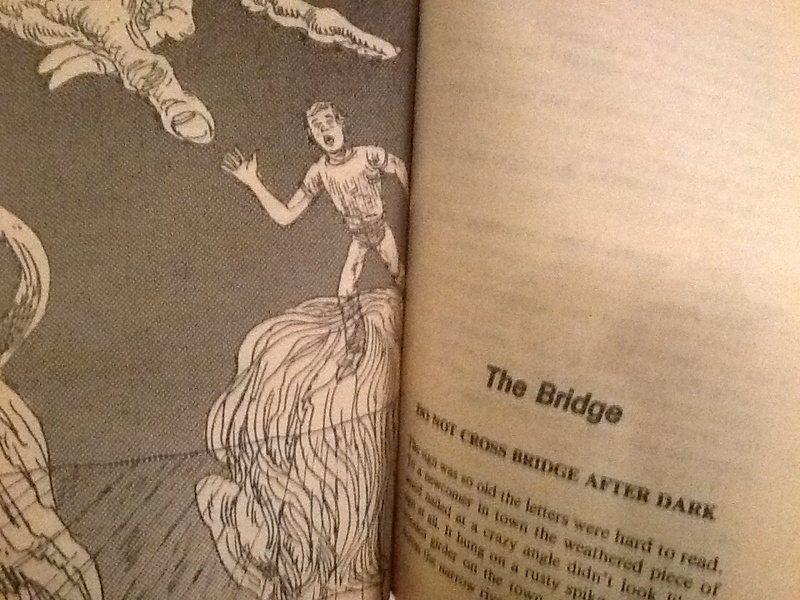 “The Bridge” – A boy visiting a town learns the terrible reason why you shouldn’t cross the bridge at night. 5. 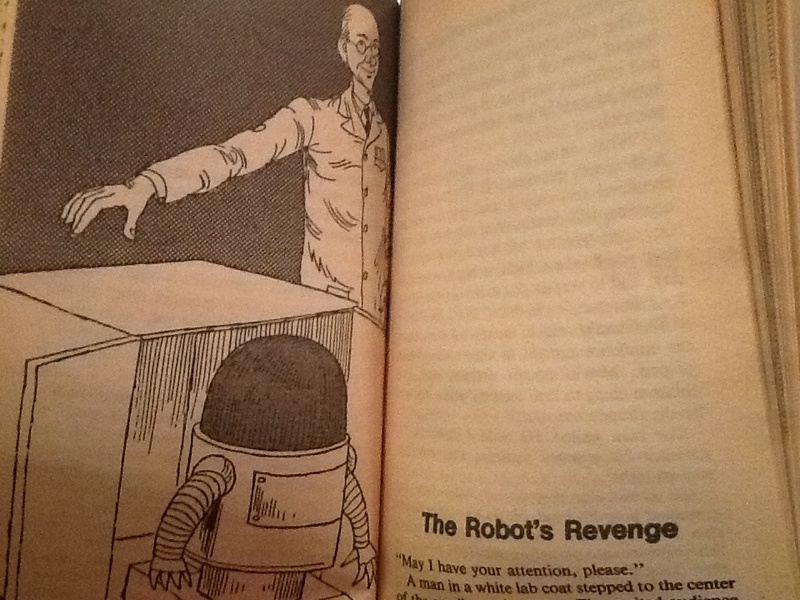 “The Robot’s Revenge” – A cruel, traveling shyster displaying his robot, Micro-Mite, which can do lots of amazing things. In reality, it’s small man hidden inside the suit doing everything. When the shyster’s abuse goes too far, there are dark consequences. 6. “Don’t Go Into Baby’s Room” – A girl, hired to babysit a creepy old woman’s baby, becomes worried by what she hears coming from his room. 7. 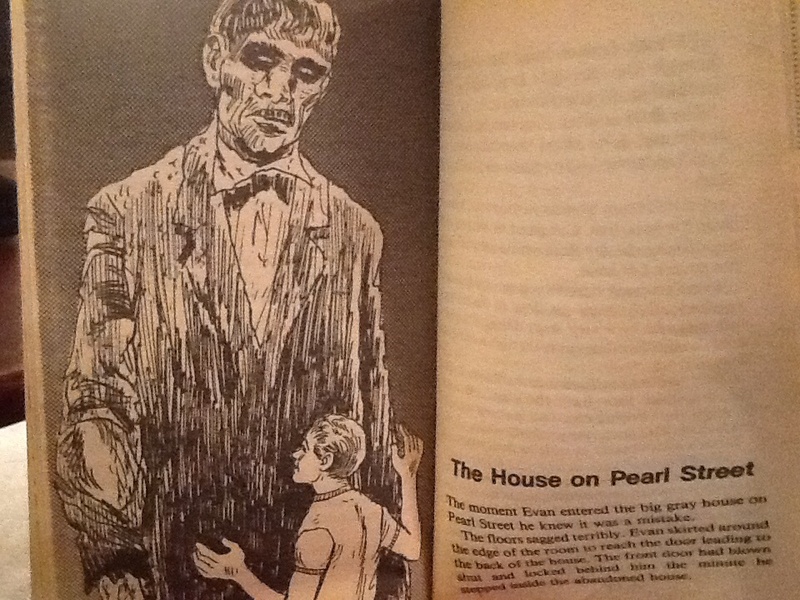 “The House On Pearl Street” – Taking a shortcut through the woods, a boy comes across an old house. He goes in to find an ugly giant holding a group of ghostly children from different era’s of time captive inside the house. The children tell the boy he will be one of them too, and that there is no escape. 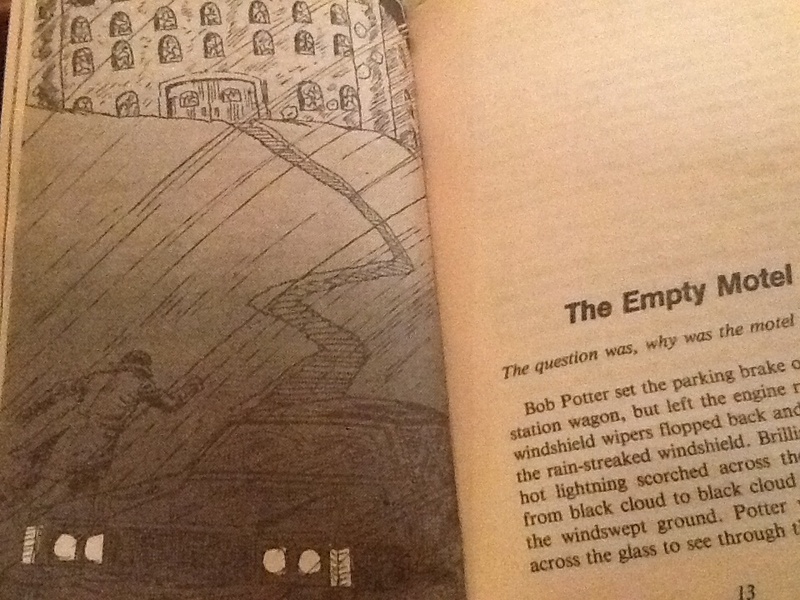 Who was the illustrator? That looks like so many illustrations I remember from books of that era. Great review! Love books like this where there are multiple stories, well, short stories. There’s always something there for everyone! Thanks! I’m addicted to buying anthologies. I generally prefer short stories to novels.